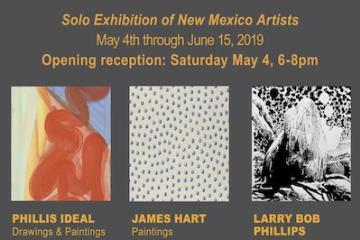 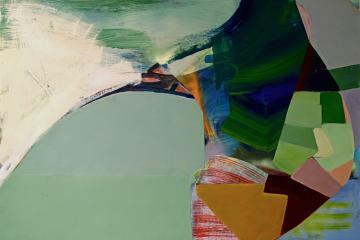 Paintings by Phyllis Ideal and James Hart, Drawings by Larry Bob Phillips. 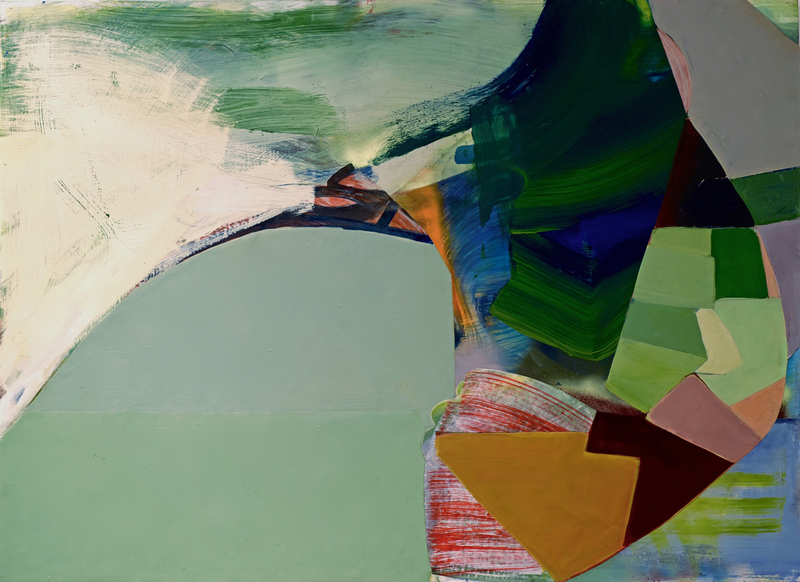 Artists' Reception Saturday May 4, 2019 6-8pm with Jazz sax by Tom Hunt. 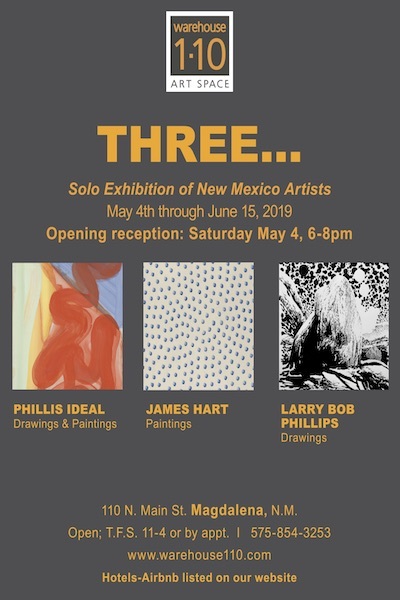 Exhibit runs through June 15, 2019 from 11-4PM TH, F, S or by appointment Call 575-517-0669.